Did you know that there is a way to be reimbursed for part of the money you spend on purchases? Not only that, but there are different types of sites and companies that will help you maximize your savings. Do you know what is the best site to help you get the best bang for your buck? The different types of cashback. Which cashback sites/companies are available. How to choose the best cashback site to maximize your savings. Which tools are available to find the best cashback rates. 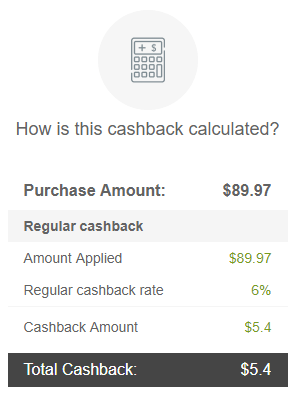 How much you can earn from cashback. What else you can do to save money. You may be somewhat familiar with reward programs and points. However, even if you use coupons and codes, you’re not maximizing your savings unless you earn cashback. Most cashback sites allow you to combine coupons with cashback. Cashback is a cash reward that is returned to the customers after they make a purchase. In short, companies pay you a refund for the purchase of a product or service. In other words, it is a partial rebate to someone who has shopped. Depending on how you look at it, cashback is an additional discount. It is also considered a partial reimbursement. Log in to the cashback site of your choice. Find your favorite store at the cashback site. Receive cashback on your account. After completing your purchase you will receive a percentage of your money back. Percentages vary from store to store. It is important to know that cashback is not applied to taxes or shipping fees. Sites that offer cashback at department stores, grocery stores, and stores in several other categories. These companies have thousands of participating merchants and usually offer the highest cashback rates. This article focuses on this type of cashback. The first one is by accumulating points for purchases that can be redeemable for cash, miles, or products, depending on the credit cards’ terms and conditions. Several credit cards offer a higher rate for specific purchases such as groceries, gas, and shopping, during a specific time period. The second way to get cashback is to log in to your bank account before making a purchase. Retailers give a commission to your bank that is partially passed on to the customer when he goes through the bank’s portal. Chase and Discover both offer cashback for purchases. The customer pays the full price at the time of the transaction and sends a form by mail to get the rebate. Cashback sites give a percentage or fixed amount for a purchase with participating retailers. Cashback rates vary on a daily basis. Vist CashbackHolic and Cashback Monitor to find out the highest rates for your favorite stores. Most cashback sites have some type of sign up bonus. This is usually a one-time payment for signing up. Referral programs reward members for inviting their friends and family. Terms and conditions vary from company to company. Cash-back websites are a popular and easy way to earn you money, points or credits for your online purchases. You’re going to shop anyway, so why not get paid for it? Cashback sites offer coupons that can be combined with the cashback offer on their site. Cashback is given for online and in-store purchases. However, not all companies offer cashback for both categories. But with so many options, which website should you use? 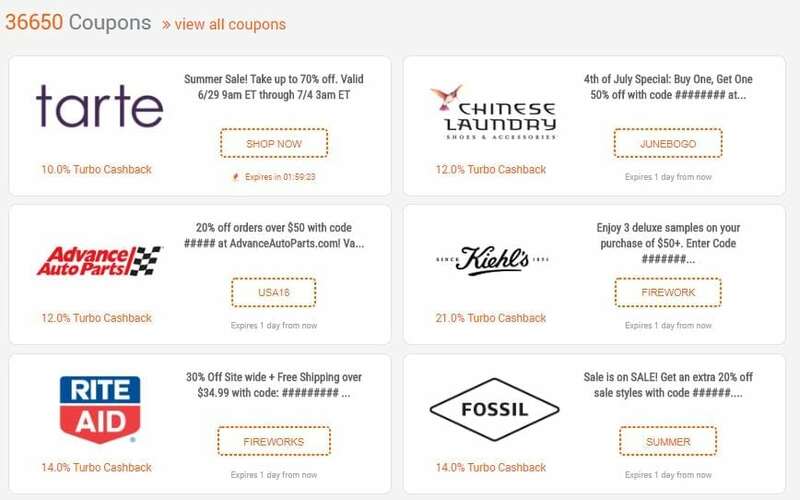 Offers coupons and cashback at more than 1,700 retailers. 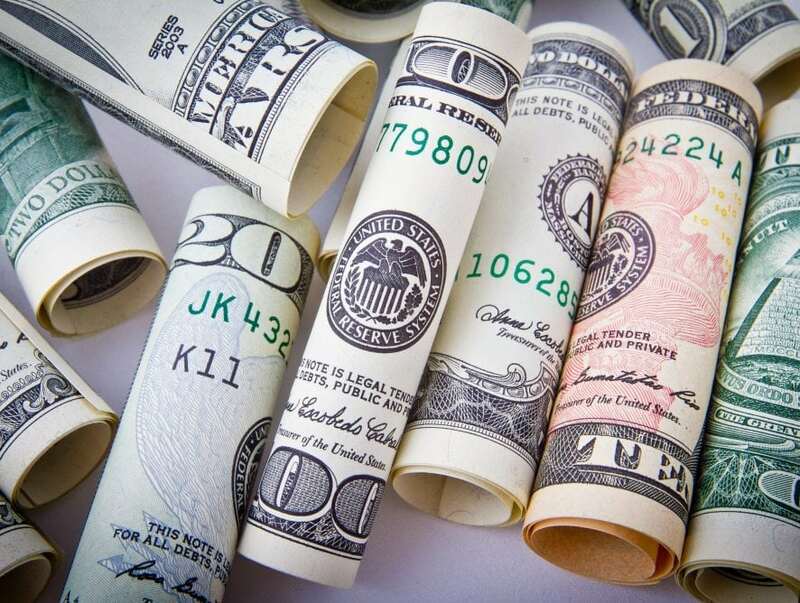 Lemoney is the only site that offers turbo cashback, which is the highest cashback rate in the market, but these rates can only be used once a month. Cashback rates up to 35%. The most popular stores include Walmart, eBay, Best Buy, Sephora, Groupon, and Macy’s. Referral bonus: Lemoney has a community structure that offers cashback every time invited friends shop through the platform. You can simulate your earnings with this tool. Ebates offers cashback for online and in-store purchases. In addition to offering cashback, customers can also find coupons on the site. Ebates is known for its Double Cashback offer, a promotion that offers higher rates at certain stores. Available on a mobile app and has cashback notifier. 8 million members around the world. Popular stores include Amazon and eBay. Find the deal you want. Referral bonus: $10 sign-up bonus. Rewards members with gift cards for activities such as taking surveys, watching videos, and shopping online. Earn $5 in Bitcoin when you refer a friend who shops. Get 5% of their rewards every time they make a purchase. To learn more about cashback sites, visit GoBankingRates.com, a personal finance website, where you will find advice about saving and investing. Read their article – “The 13 Best Cash-Back Sites Worth Your Time – and Hacks to Maximize Your Savings” to find a complete list of cashback sites. Log in to the cashback site before making your purchase. Find the store where you want to shop. Click on the button to be redirected to the store’s website. Don’t visit another cashback or retailer platform before going through the cashback site. Ensure you are not logged in to another cashback site. The last click before arriving at the retailer’s site must have been made from the cashback site. Your cart must be empty when you arrive at the retailer’s site. You must complete your purchase in one session. Read the cashback terms before shopping. Some items are not eligible for cashback. You may only combine cashback with the coupons you find on the same cashback site. Otherwise, the cashback may be voided. You will only get cashback from items that you keep. Items that are returned are not eligible for cashback. Get cashback automatically when you go directly to the retailer’s website. An affiliate program is considered a type of performance-based marketing in which merchants reward websites with commissions for each customer brought by them. These commissions are shared with customers and this is how cashback is originated. 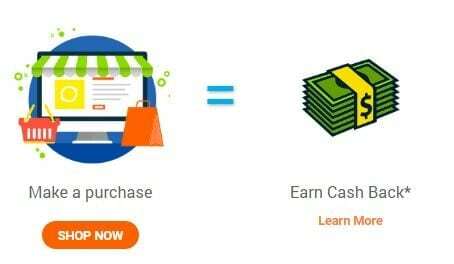 Cashback is a billion dollar industry that has been growing exponentially. Cashback is appealing to retailers to increase sales and conversion rates. These affiliate programs are also used by bloggers on their site to get a commission when a reader makes a purchase after clicking on their link. Affiliate programs are a source of income for many bloggers. Although all of us have a preference when it comes to favorite stores, I’ve never met anyone who doesn’t love a discount. The best strategy to save money is to take advantage of cashback and coupons, so use a comparison site to get the best deals. Do you have any tips to live frugally? Leave your money saving tips in the comment section below! *Lemoney is not affiliated with all the companies mentioned in this article. Programs’ terms and conditions may change without notice.